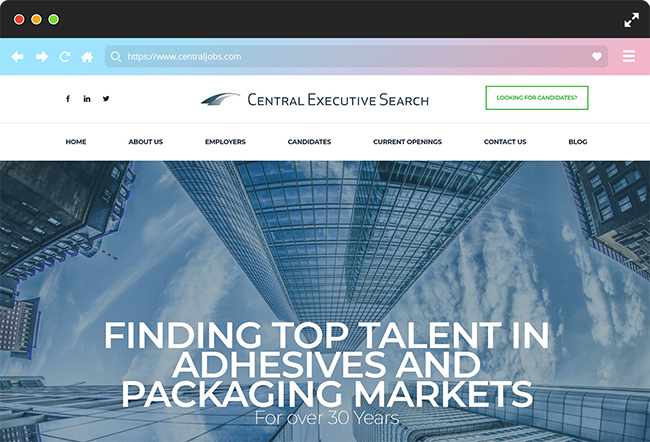 Central Executive Search had a website that just wasn’t cutting it for them. They needed a website with a stunning user interface to allow for employers to seamlessly find new executives and for candidates to find a new job without a hitch. We created a website that has all of the information needed for either party in an easy to navigate format. Candidates can easily submit their resume on the ‘Candidates’ page. Employers have the ability to search for the perfect candidate with filtered results by using Central Executive Search’s candidate list software that we embedded into the site.